For many people, math is a very difficult subject, and a lot of teachers are not able to give students the one-on-one help they may require in order to master math. If you're reading this article, then you are probably a bit of a math-a-phobic yourself, or maybe you're just looking to improve your math skills. Regardless, you'll learn how to solve any math problem in seconds in this article. Write down the problem. This will help you to solve the math problem quickly, regardless of what it is. Very few people have the ability to solve math problems in their heads. Translate words into numbers. In order to make things difficult on you, many teachers/textbook publishers will present you with a problem in words, rather than in mathematical equations. It's your job to translate these words to math language, and if you want to solve the math problem in seconds, you'll need to be efficient at doing just this. Determine if it's an algebra or geometry problem. Most math problems fall into one of these two categories, and being able to identify which one your particular problem falls into will tell you how exactly to approach it. An obvious sign of the math problem being algebraic is a use of variables, whereas an obvious sign of it being geometric in nature is a use of graphs. Look for any shortcuts. If you're a bit rusty with formulas, take a little time to look over the basic algebra, geometry and calculus formulas out there. Pull out the calculator and use it. 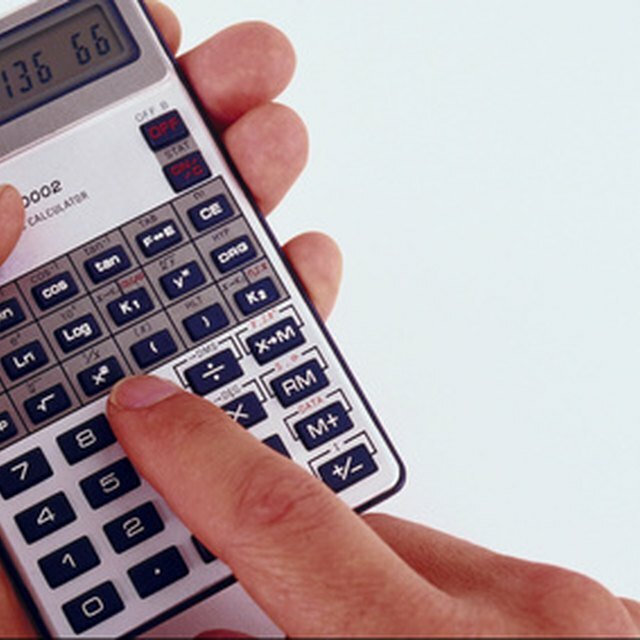 Calculators aren't meant to do all the work for you, but they can help to cut down on tedious addition, which, in turn, helps you to solve math problems significantly faster. No matter what type of math problem you're attempting to solve, you'll probably find the calculator to be useful. Factor when you can. If you look at most equations, even those that are actually quite simple, they can look very confusing when in an unfactored form. Thus, if you can factor out the equation to its simplest terms, you will be able to solve it more quickly. Memorize and use some important multiplication shortcuts. You can memorize certain patterns in multiplication, such as 5 * 5 = 25, 25 * 25 = 625, 35 * 35 = 1225. When multiplied by 5, any number that ends in 5 will produce a number that ends in 25, because 5 * 5 = 25. This principle applies to many other numbers as well. Solve in your head where possible. It's always best to write it down, but for some problems, that's not feasible. That's why you should learn how to solve basic problems in your head. This is done by simply practicing a several different types of problems a few times. The more you practice, the easier it gets to solve any math problem in seconds even in your head. Practice, practice, practice. Math is one of those subjects that requires repetition. You'll want to practice your skills in every mathematical area in order to get better at solving problems quickly. Remember to try to incorporate as many of the suggestions above as possible. While you obviously can't solve in your head for every problem, it's entirely possible to use most of those tips above together to solve any math problem in seconds. Never accept sloppiness. One of the biggest problems many have with solving math problems is being too sloppy about it. If you have sloppy tendencies--and most of us do--you need to first work on these before you can really solve math problems correctly and quickly. Carvo, Michelle. "How to Solve Any Math Problem in Seconds." Sciencing, https://sciencing.com/solve-any-math-problem-seconds-4500297.html. 24 April 2017.